Research by Terre des Hommes on the use of child labour in the global mining of mica, a mineral with unique glimmering, heat-resistant and insulating properties, shows that this mineral is widely used in the automotive and electronics industry. At the same time, producers are not aware, or hardly, of the wide use of mica in their products, or of the conditions under which it is extracted. 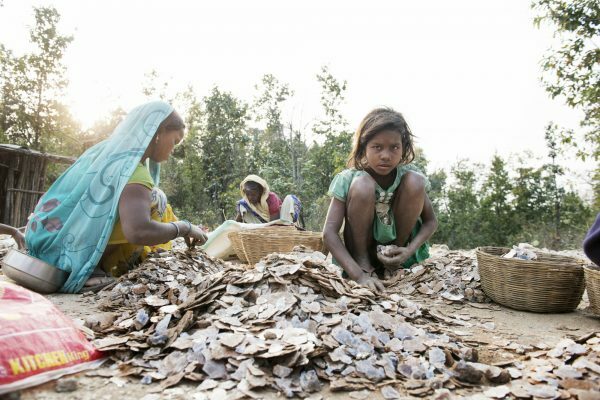 Mica mining involves large-scale child labour and the demand for mica only increases. In its report ‘Global mica mining and the impact on children’s rights’, Terre des Hommes investigates the mica production volume in 20 countries and the violation of children’s rights during its extraction. Mining of sheet mica, the type of mica used in electronics, is labour intensive and the work is carried out by the poorest people and their children. The greatest risk of violation of children’s rights in mica mining is seen in India, Madagascar, China, Sri Lanka, Pakistan and Brazil. India and Madagascar, with up to 90% of illegal mines, are the main sheet mica exporters globally. In India alone, over 22,0000 children are involved in mica mining. Working conditions in illegal mines are harsh. Collapses are not uncommon. Mica dust that is released during hammering cause the lung disease silicosis. With 26%, the electronics industry (including car electronics) is the largest purchaser, followed by paints and coatings with 24%. Mica is used in electrical devices such as hairdryers and shavers, but also in smartphones, laptops, computers and anything that contains printed circuit boards. One of the interviewed car manufacturers identified 15,000 car parts they use that contain mica. 10% of the market consists of synthetic mica, which is mainly used in the cosmetics industry. Analyses show that synthetic mica, for the time being, does not constitute a viable alternative for natural mica. It is time for the companies and the electronics and automotive industry in particular, to make a move now. Terre des Hommes calls on companies to find out to conduct supply chain due diligence, to know the source of the mica in their products. Companies should not accept the risk of child labour and should ban child labour together with their suppliers. Read TdH’s 2016 ‘Beauty and a Beast – child labour in mica mining in India for sparkling cars and cosmetics’ report here. Eradicating this practice requires collective and cooperative effort by government, the private sector, local communities and NGOs, very much in the spirit of the global Sustainable Development Goals. The Mica Stakeholder event where will have key stakeholders who will share their ideas and approaches on sustainable solutions to fight child labour in the mica industry. Philips, Kuncai and other companies that have already committed to this quest, as well as representatives of the Ministry of Foreign Affairs shall take an active part in this event. Join us to discuss and discover how together we can permanently change the lives of 22000 children in India. Join us in proving that when we combine our forces and interests, we can tackle the most difficult of problems and return childhoods to their rightful owners. This report was drawn up by the Centre for Research on Multinational Corporations (SOMO), commissioned by and in collaboration with Terre des Hommes. For more information you may contact Jos de Voogd, press officer at Terre des Hommes, +31-6-12991270 and j.devoogd@tdh.nl .